You Can use This Fabric to Make Shirts, Jackets, Waistcoat etc. It's a Cotton that has a luxuriously rich feeling. This Cotton Fabric Has Solid Color. Item - 1 Yard Cotton Fabric. Fabric - 100% Cotton. Pattern - Floral. Item - 10 Yard Screen Printed Fabric. It is carved onto the block by hand. The carved block is dipped into the. designs and patterns on fabric, by hand. What makes block Printing unique. Colors - Natural Vegetable Dye. Pattern - Floral. Item - 10 Yard Hand Block Printed Fabric. It is carved onto the block by hand. The carved block is dipped into the. designs and patterns on fabric, by hand. Main color - Indigo Blue Base on White. Pattern - Floral. Cotton Thread count : 60 x 60. Item - 1 YardHand Block Printed Fabric. It is carved onto the block by hand. The carved block is dipped into the. You Can use This Fabric to Make Shirts, Jackets, Waistcoat etc. It's a Cotton that has a luxuriously rich feeling. This Cotton Fabric Has Solid Color. 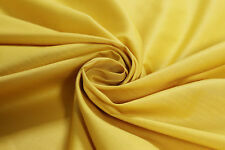 Item - 1 Yard Best Quality Cotton Fabric. Fabric - 100% Cotton. Pattern - Paisley. Cotton Thread count : 60 x 60. Item - 1 YardHand Block Printed Fabric. It is carved onto the block by hand. The carved block is dipped into the. designs and patterns on fabric, by hand. Pattern - Paisley. Colors - Natural Vegetable Dye. Item - 10 Yard Hand Block Printed Fabric. designs and patterns on fabric, by hand. What makes block Printing unique. It is carved onto the block by hand. Handicraft Palace. Main color- Gray Base on Indigo Blue. Pattern - Tree. Item - 2.5 Yard Hand Block Printed Fabric. Cotton Thread count : 60 x 60. It is carved onto the block by hand. The carved block is dipped into the. Colors - Natural Vegetable Dye. Item - 10 Yard Hand Block Printed Fabric. It is carved onto the block by hand. The carved block is dipped into the. designs and patterns on fabric, by hand. What makes block Printing unique. Colors - Natural Vegetable Dye. Item - 10 Yard Hand Block Printed Fabric. designs and patterns on fabric, by hand. What makes block Printing unique. It is carved onto the block by hand. The carved block is dipped into the. Main color - Gray Base on Indigo Blue. Pattern - Butterfly. Item - 2.5 Yard Hand Block Printed Fabric. Cotton Thread count : 60 x 60. It is carved onto the block by hand. The carved block is dipped into the. Item - 10 Yard Hand Block Printed Fabric. designs and patterns on fabric, by hand. What makes block Printing unique. It is carved onto the block by hand. The carved block is dipped into the. Fabric - 100% Cotton. Handicraft Palace. Main color- Brown Base on Indigo Blue. Pattern - Tree. Item - 2.5 Yard Hand Block Printed Fabric. It is carved onto the block by hand. The carved block is dipped into the. designs and patterns on fabric, by hand. Item -10 Yard Hand Block Printed Fabric. designs and patterns on fabric, by hand. What makes block Printing unique. It is carved onto the block by hand. The carved block is dipped into the. Fabric - 100% Cotton. Item -10 Yard Hand Block Printed Fabric. designs and patterns on fabric, by hand. What makes block Printing unique. Pattern - Floral. It is carved onto the block by hand. The carved block is dipped into the. Pattern - Paisley. Item - 10 Yard Hand Block Printed Fabric. It is carved onto the block by hand. The carved block is dipped into the. designs and patterns on fabric, by hand. What makes block Printing unique. Pattern - Floral. Item - 10 Yard Hand Block Printed Fabric. Main color - Pink Base on White. Cotton Thread count : 60 x 60. Fabric - 100% Cotton. Fabric : Light Weight. required color. Handicraft Palace. Item - 2.5 Yard Ajrakh Block Printed Fabric. designs and patterns on fabric, by hand. What makes block Printing unique. It is carved onto the block by hand. The carved block is dipped into the. Handicraft Palace. Item - 10 Yard Hand Block Printed Fabric. designs and patterns on fabric, by hand. What makes block Printing unique. It is carved onto the block by hand. The carved block is dipped into the. Handicraft Palace. Pattern - Floral. Item - 10 Yard Hand Block Printed Fabric. It is carved onto the block by hand. The carved block is dipped into the. designs and patterns on fabric, by hand. What makes block Printing unique. Item - 10 Yard Ajrakh Block Printed Fabric. Pattern - Floral. Cotton Thread count : 60 x 60. It is carved onto the block by hand. The carved block is dipped into the. Fabric - 100% Cotton. designs and patterns on fabric, by hand. You Can use This Fabric to Make Shirts, Jackets, Waistcoat etc. Color - Turquoise. It's a Cotton that has a luxuriously rich feeling. Fabric - 100% Cotton. This Cotton Fabric Has Solid Color. Item - 2.5 Yard Ajrakh Block Printed Fabric. Colors - Natural Vegetable Dye. designs and patterns on fabric, by hand. What makes block Printing unique. It is carved onto the block by hand. The carved block is dipped into the. Pattern - Ikat. It is carved onto the block by hand. The carved block is dipped into the. designs and patterns on fabric, by hand. What makes block Printing unique. Fabric - 100% Cotton. Main color - Pink Base on White. Colors - Natural Vegetable Dye. Item - 10 Yard Hand Block Printed Fabric. designs and patterns on fabric, by hand. What makes block Printing unique. Pattern - Floral. It is carved onto the block by hand. Handicraft Palace. 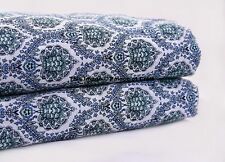 Item - 10 Yard Ajrakh Block Printed Fabric. designs and patterns on fabric, by hand. What makes block Printing unique. Pattern - Floral. It is carved onto the block by hand. The carved block is dipped into the. Cotton Thread count : 60 x 60. Palace Of Craft. Item - 10 YardHand Block Printed Fabric. It is carved onto the block by hand. The carved block is dipped into the. designs and patterns on fabric, by hand. Handicraft Palace. Pattern - Floral. Cotton Thread count : 60 x 60. Item - 2.5 Yard Hand Block Printed Fabric. It is carved onto the block by hand. The carved block is dipped into the. designs and patterns on fabric, by hand. Colors - Natural Vegetable Dye. Item -10 Yard Hand Block Printed Fabric. designs and patterns on fabric, by hand. What makes block Printing unique. It is carved onto the block by hand. The carved block is dipped into the. Item - 10 Yard Hand Block Printed Fabric. Pattern - Floral. It is carved onto the block by hand. The carved block is dipped into the. Cotton Thread count : 60 x 60. designs and patterns on fabric, by hand. Item - 10 Yard Hand Screen Printed Fabric. It is carved onto the block by hand. The carved block is dipped into the. designs and patterns on fabric, by hand. What makes Screen Printing unique. Fabric - 100% Cotton. Pattern - Floral. Cotton Thread count : 60 x 60. Item - 1 Yard Hand Screen Printed Fabric. It is carved onto the block by hand. The carved block is dipped into the. designs and patterns on fabric, by hand. Item - 10 Yard Hand Block Printed Fabric. Pattern - Floral. It is carved onto the block by hand. The carved block is dipped into the. designs and patterns on fabric, by hand. What makes block Printing unique. Item - 10 Yard Hand Block Printed Fabric. designs and patterns on fabric, by hand. What makes block Printing unique. It is carved onto the block by hand. The carved block is dipped into the. Cotton Thread count : 60 x 60. Pink Plain Solid 100% Cotton Fabric Quilting Sewing Craft Clothing By Yard 58"
It's a Cotton that has a luxuriously rich feeling. Item - 1 Yard Cotton Best Quality Fabric. This Cotton Fabric Has Solid Color. Fabric - 100% Cotton. Color - Pink. You Can use This Fabric to Make Shirts, Jackets, Waistcoat etc. Maroon Solid Best Cotton Fabric Sewing Quilting Shirt Men/Women By 1.6 Meter 58"
You Can use This Fabric to Make Shirts, Jackets, Waistcoat etc. It's a Cotton that has a luxuriously rich feeling. This Cotton Fabric Has Solid Color. Fabric - 100% Cotton. Color - Maroon. You Can use This Fabric to Make Shirts, Jackets, Waistcoat etc. It's a Cotton that has a luxuriously rich feeling. This Cotton Fabric Has Solid Color. Fabric - 100% Cotton. Color - Peach. Pattern - Floral. It is carved onto the block by hand. The carved block is dipped into the. Item - 10 Yard Hand Screen Printed Fabric. Fabric - 100% Cotton. Cotton Thread count : 60 x 60. designs and patterns on fabric, by hand. Handicraft Palace. Main color- Brown Base on Indigo Blue. Colors - Natural Vegetable Dye. Pattern - Floral. Cotton Thread count : 60 x 60. 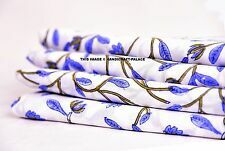 Item - 2.5 Yard Hand Block Printed Fabric. It is carved onto the block by hand. Colors - Natural Vegetable Dye. Cotton Thread count : 60 x 60. Item - 10 YardHand Block Printed Fabric. It is carved onto the block by hand. The carved block is dipped into the. designs and patterns on fabric, by hand. Pattern - Floral. Item - 10 Yard Hand Block Printed Fabric. Cotton Thread count : 60 x 60. It is carved onto the block by hand. The carved block is dipped into the. designs and patterns on fabric, by hand.